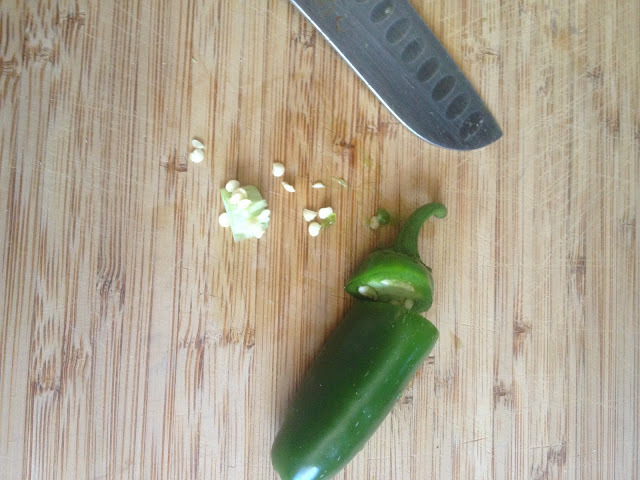 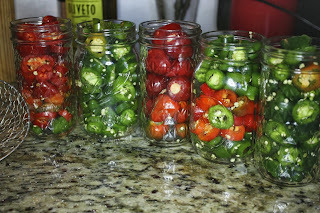 Take your washed peppers, trim the stems and slice them into rings. 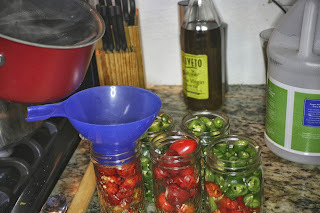 If pickling cherry peppers, wash and remove any stem. 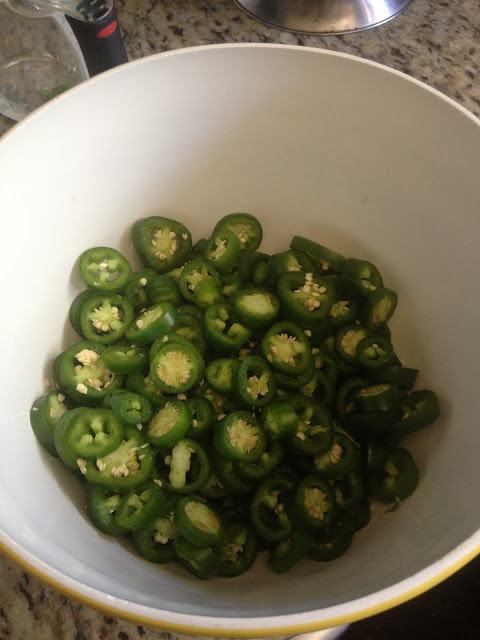 Place rings into bowl and set aside. 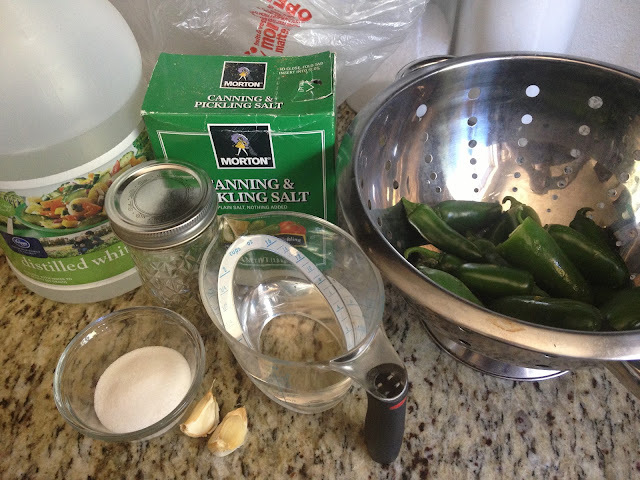 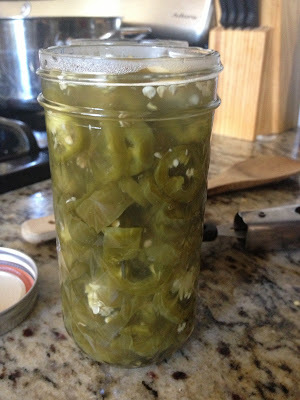 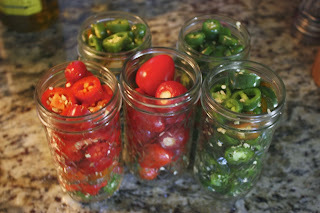 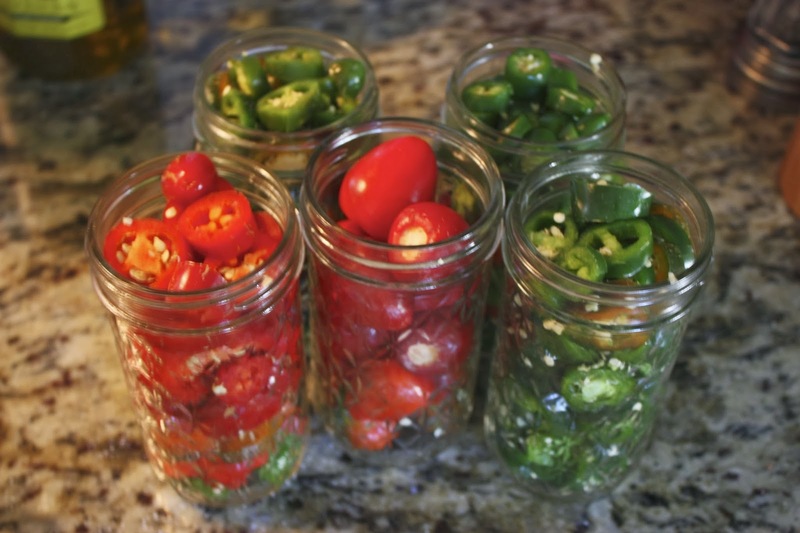 Pack jars with peppers at tightly as possible. Remove the pot off of the heat and pour pickling liquid into jars, removing air bubbles, and filling to a1/2 inch head space. 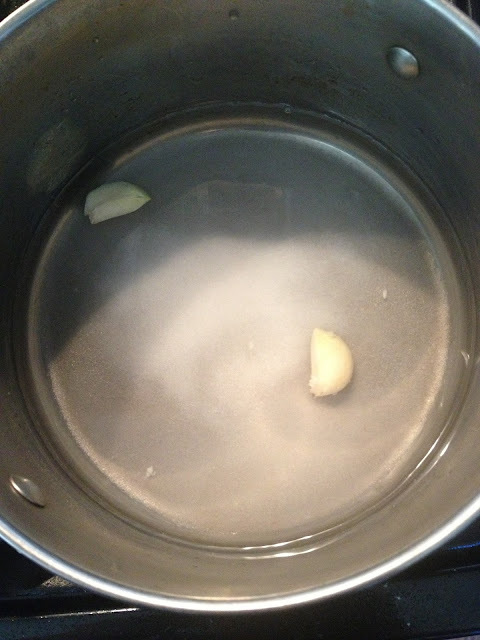 Place on lids and rings and process in boiling water for 15 minutes.